The JCCC ID card is required for credit students to check out library materials, make bookstore purchases and have access to computer labs and the gym. The first one is free. You qualify for an ID card after your credit tuition is paid through third-party billing, financial aid, enrollment in a payment plan, or paid in full by you. To get your first ID card, visit the Student Activities Welcome Desk or the circulation desk in the Billington Library. Replacement cards can only be issued from the Welcome Desk. Your ID card is valid as long as you are enrolled and paid as a credit student. The card does not need to be renewed. You can load funds on your ID card for use at multiple campus locations. If you are only taking Continuing Education classes (non-credit), you are not eligible to receive an ID at this time. If you also enroll in credit classes, you may receive an ID. 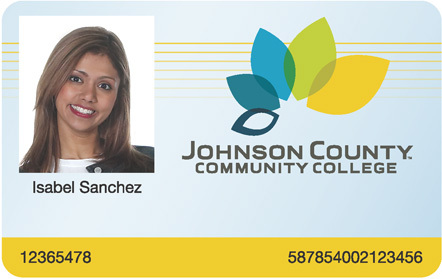 Your first JCCC ID card is issued at no cost to you as a credit student. You will be charged a replacement fee if your ID is lost, stolen or damaged.